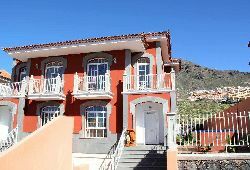 The area of El Madroñal de Fanabé, which sits peacefully adjacent to the TF1 motorway, is a very popular location for residential properties. 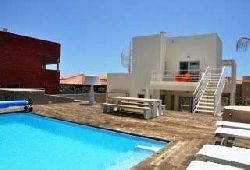 From private villas to apartment complexes, these properties are primarily purchased by both residents and regular visitors to the island; people who prefer a more peaceful -and somewhat sedate atmosphere, rather than the hustle and bustle of a thriving holiday complex. El Madronal also boasts a selection of quaint little outlets, including a quality butchers, a pet shop, a mini-market and a hair salon, along with several themed bars and a mixture of Spanish, French and Italian restaurants. The well-respected Colegio de Costa Adeje (formerly the Humboldt school) which is situated in El Madronal, is one of the most desired schools in southern Tenerife -and it is only a stones-throw away from the high-quality apartment complexes of Los Almendros, El Naranjal and Los Castaños, and the Villas Miranda and Villas Leonor, which were built by Tenerife’s most prolific builder, Kurt Konrad CIA SA. 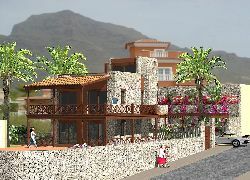 Property prices here hold their value very well due to the close proximity of the busy tourists resorts. Property owners also get more for their money in El Madronal -especially compared to the coastal resorts of Playa Del Duque and La Caleta where property prices are at a premium. The opening in August 2007, of the Gran Sur Shopping Mall and multi–screen cinema complex provided the final piece in the puzzle of El Madroñal de Fanabé. Set amid an ensemble of quality villas and apartment complexes, and boasting a number of quality shops, bars and restaurants, this multi-purpose establishment caters for virtually every household want and need. 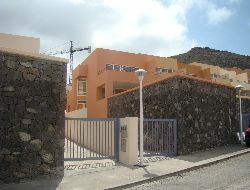 Close to the Grand Sur Shopping Mall are the townhouses of Los Girasoles, and the villas of El Faro and Los Pergolas, all of which were also built by Kurt Conrad CIA SA. One of the great benefits of living in El Madronal is the fact that one can enjoy spectacular panoramic views of the Atlantic Ocean, without having to travel too far into the hills, thus minimizing walking time to the coast, while at the same time enjoying the benefits of low-cost taxi-fares after a long day on the beach -or an evening out on the town. 23 results, you are on page 1 out of 3.